This is Adorable Mega Man. After fighting for everlasting peace for so long, he has earned a well-deserved break. But his adventures are far from over! 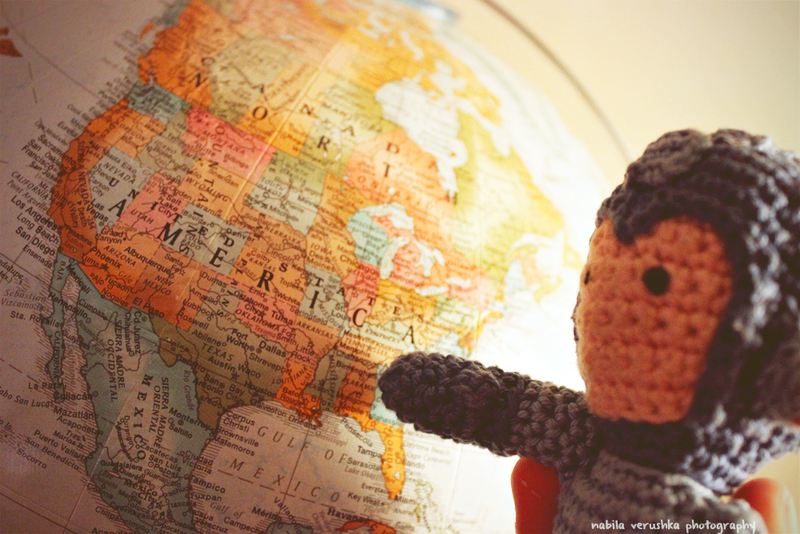 He’s now ready to explore the world like never before! And thus begins The Adventures of Adorable Mega Man. Adorable Mega Man likes books. Here he is reading A Game of Thrones. 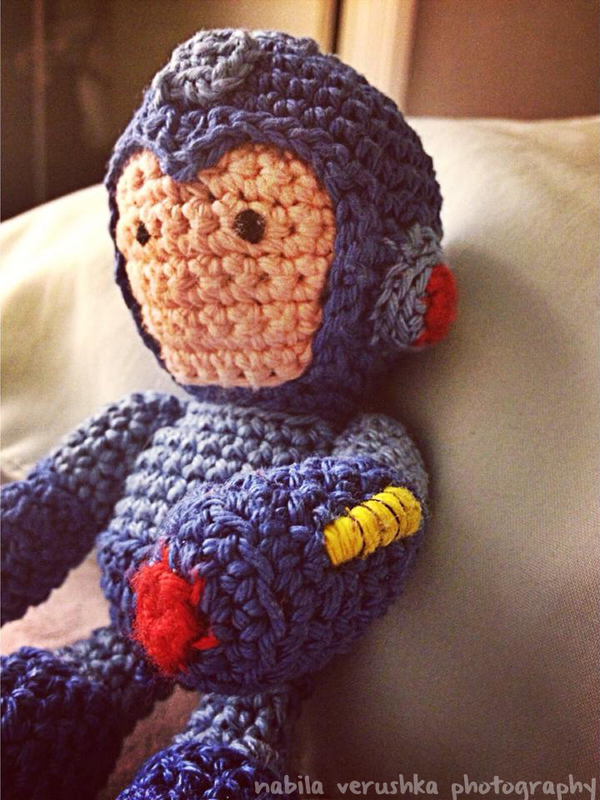 Adorable Mega Man likes video games. One of Adorable Mega Man’s BFFs is a trex named MR. T-Rex. They do lots of fun things together like watch kung-fu flicks and partake in hotdog eating contests. 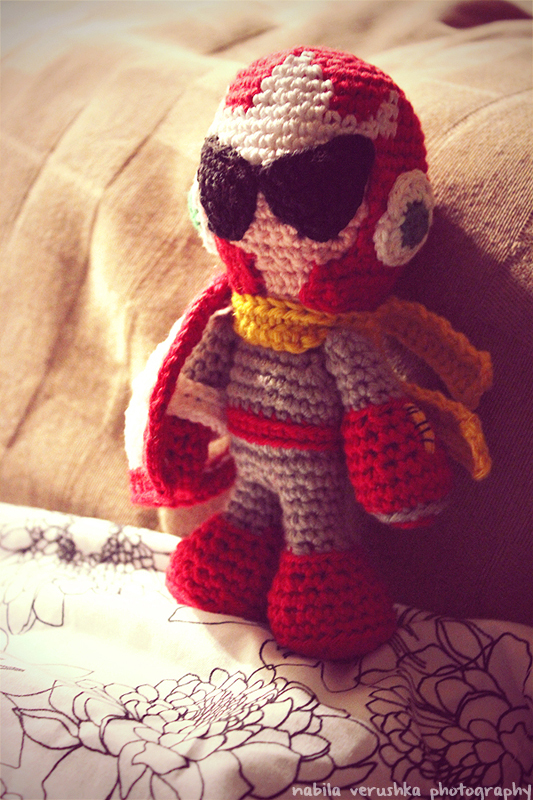 This is Adorable Mega Man’s other adorable brother, Adorable Protoman. 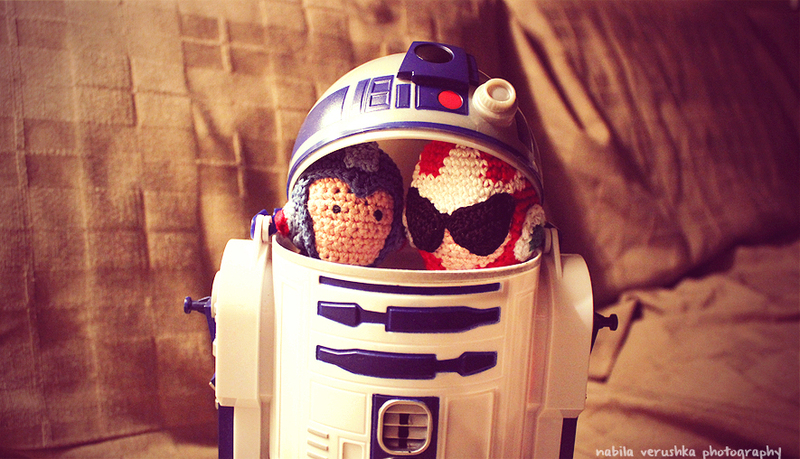 Adorable Mega Man and Adorable Protoman like to explore the unknown with R2-D2. Who knows what adventures he’ll go on next! Stay tuned! Note: I did not make these adorable crochet creatures. 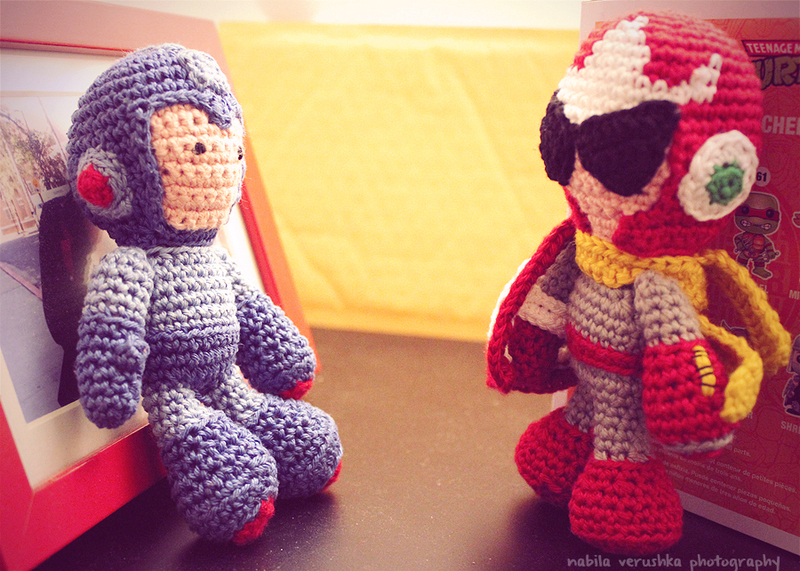 If you’d like an adorable Mega Man and/or an adorable Protoman of your own, visit: www.etsy.com/shop/pixelblock.